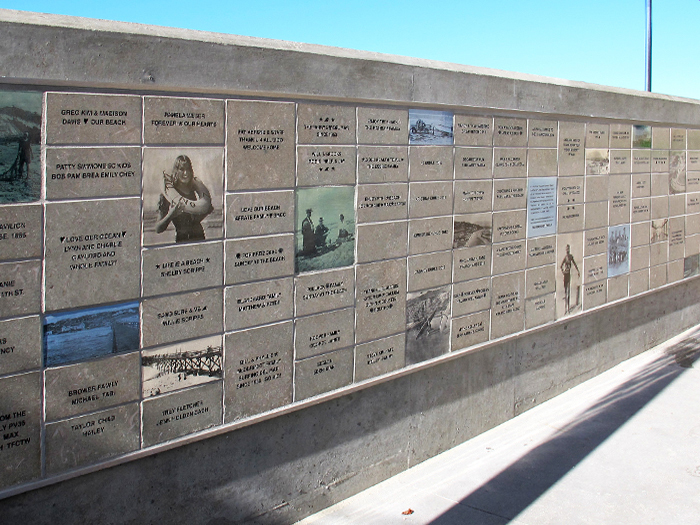 The donor wall for the new Del Mar Lifeguard Station at 17th Street recognizes the many contributors to the project. 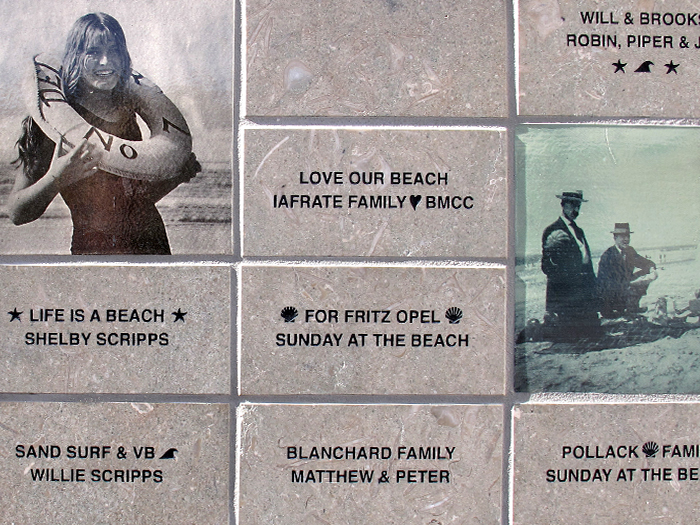 The mural is a pleasant reminder of how many generations have enjoyed the local beach. 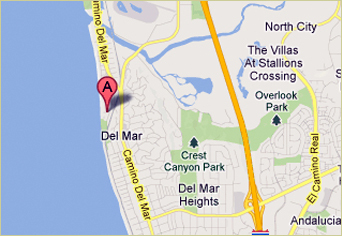 The Del Mar Historical Society provided Betsy Schulz with photos of Del Mar beach life over the years, which she scanned and screened onto clay and high-fired for durability. 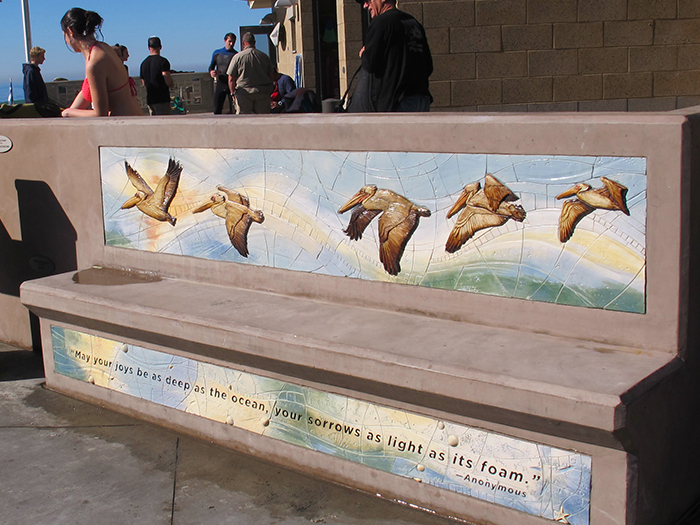 A tile mural of flying pelicans and an ocean-inspired quotation were added to a plain concrete bench directly in front of the main Lifeguard headquarters, a perfect mural location. The bench tiles add color and interest to this utilitarian space.